Two years ago, Virgin Galactic’s SpaceshipTwo, the space plane it hoped to use to send tourists into space, failed on a test flight and crashed in the desert. 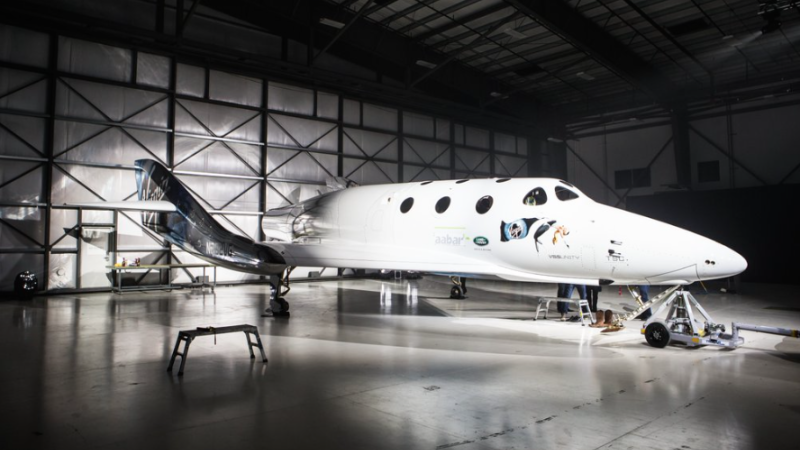 Now, it’s revealed a brand new version of SpaceShipTwo. Virgin Galactic rolled-out the new SpaceShipTwo—the VSS Unity, as named by Stephen Hawking—in its Mojave hangar late this afternoon. The company also released a series of photos, which you can check out below. If this brand new plane already looks pretty familiar to you, though, there’s a reason. For today, the new SpaceShipTwo won’t be leaving the ground at all. Replicating all that prior testing means that, for today, the new SpaceShipTwo won’t be leaving the ground at all. Once on-ground tests have wrapped up, it will eventually head out for a paired flight, where it stays attached to a mother ship. From there, it goes through a series of glide tests, where a pilot will steer the plane through escalating low-altitude drifts. Only when all of these have been finished, will SpaceShipTwo finally get its rocket test. Initially, it will be going on lower sub-orbital flights which, at 100,000 feet will still be enough for weightlessness. Their eventual plan is to hit “official astronaut distance”—over 50 miles above our surface. Of course, for many people the more important question isn’t when will testing be finished, it’s when will they start taking tours up there—and that remains the big open question. Certainly, space tourism is what Virgin Galactic has its eyes fixed on (in addition to flights, Richard Branson has also tossed around the idea of a space hotel), and they’ve already started construction on a third space plane of the same model for commercial use. The crash of SpaceShipTwo’s successor has raised questions, though, about both the safety and plausibility of sending tourists in the near future.